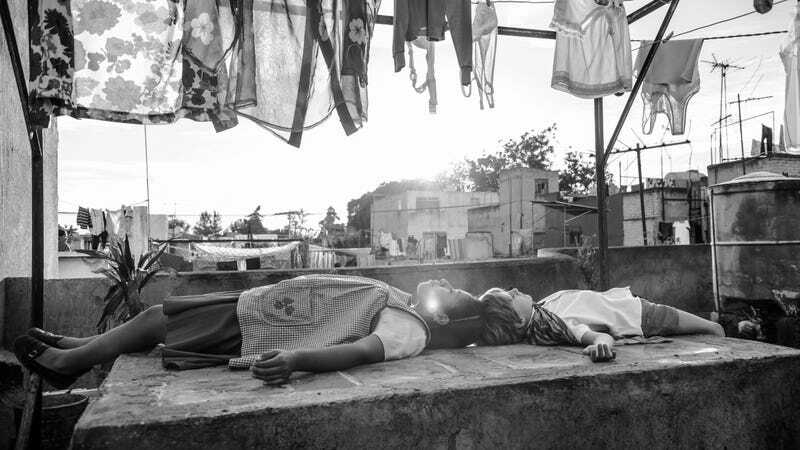 With all of the talk about Green Book this awards season, the film-loving world could be in danger of forgetting about some legitimately award-worthy films like, say, Roma. Luckily, a big group of musicians has come along to make sure we don’t forget about Roma with a new album of songs inspired by Alfonso Cuarón’s film called, appropriately enough, Music Inspired By The Film Roma. According to Billboard, Cuarón brought together some of his “favorite musical artists” to make songs inspired by his film, with the artists including Beck, Pattis Smith, El-P, Billie Eilish, T-Bone Burnett, Jessie Reyez, Unkle, and Bu Cuarón (the director’s daughter). Beck’s track, a cover of British electro band Colourbox’s “Tarantula,” is available now, and the full album will be released on February 8. You can hear a clip from Beck’s song below, and the full tracklist is at the Billboard link up above.